New energy clients include Natural Gas, Condensate, Power, NGL and Coal, taking Eka’s winning streak to 20 new clients in just 8 months. Eka Software, a leading global provider of commodity management systems today announced four new energy deals for its Trading and Risk Management (TRM) solution. These firms trade a wide range of asset classes that include Natural Gas, Condensate, Power, NGL and Coal, across Europe, North America and Asia. 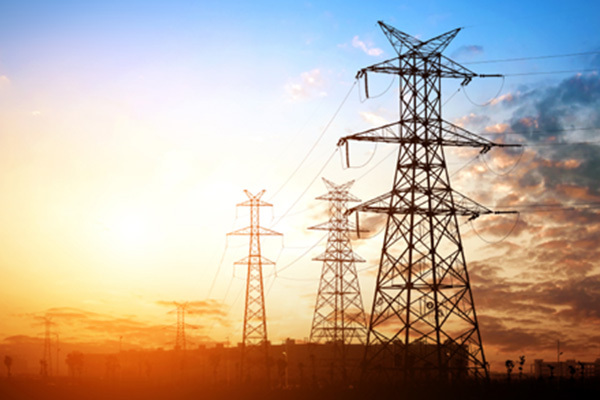 The energy companies chose Eka for its proven expertise in managing multiple asset classes tailored to their unique geographic requirements and its ability to handle complex features, including trade capture, settlements, operations, logistics and advanced risk management. Another key factor was Eka’s ability to implement with speed and accuracy using pre-configured workflow templates. The new clients will be using Eka TRM for Energy, part of the Eka’s fully integrated, award-winning, multi-commodity solution. Eka’s Energy solution’s architecture is considered the fastest to implement and the most comprehensive, based on its deep domain knowledge and ability to cover multiple asset classes. The energy businesses will quickly benefit from industry-tested, pre-built workflows and market information allowing them to instantly adapt to market changes with new levels of efficiency. Optimized for exceptionally fast and effective implementation with excellent support during the go-live. Numerous reference sites: Eka has had 15 implementations in North America and many energy customers around the world, leading with its strength in Natural Gas and multiple commodity implementations and expertise in handling growth in trade volumes and asset classes. Risk: ability to manage Physical and Financial Mark-to-market, VaR, Exposure, PnL Attribution, Simulations and configurable reporting. Scalable: the solution is designed to accommodate multiple trade types for several commodities, with the flexibility to add more functionalities as businesses grow. Future-proofing: the system brings more transparency and corporate governance into the business and a scalable UI, that allows clients to extend their use of the system as necessary. Real-time system: with increasing market volatility this system is essential to cope with real-time market conditions. Eka’s TRM for energy is a fully-integrated multi-commodity solution for crude and refined products, natural gas, natural gas liquids (NGL), liquefied natural gas (LNG), power, coal, and biofuels. It covers all aspects of a transaction lifecycle including trading, risk management, processing, scheduling, logistics, and accounting. The solution also provides built-in predictive analytics, visualization, and optimization that seamlessly pull data from existing systems to enable better, faster, smarter decisions. Earlier this year, 16 mid-to-large sized commodity businesses adopted Eka’s Digital Commodity Management Platform in less than six months to drive new levels of growth. Read more about it here. Award-winning Eka is the global leader in providing Commodity Management solutions driven by Cloud, Blockchain, Machine Learning and Analytics. Eka’s modern Digital Commodity Management Platform enables companies to efficiently and profitably meet the challenges of complex and volatile markets. The company’s best-of-breed solutions manage commodity trading, enterprise risk, compliance, procurement, supply chain, operations, logistics, bulk handling, processing, and decision support. Eka partners with customers to accelerate growth, increase profitability, improve operational control, and manage risks and exposures. Eka is a team of 315 staff with offices in the Americas, Asia, Australia, and EMEA, serving a rapidly growing global client base across multiple commodity segments. Learn more at www.ekaplus.com.